To rent a performance venue, ​submit the online request form. If you have any questions please contact Steve Ouellette at (517) 884-3126 or [email protected]. Cobb Great Hall is Wharton Center’s largest venue, with 2,254 seating capacity. 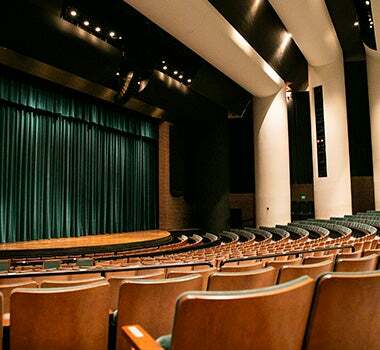 Home to our MSUFCU Broadway Series, the hall is known for its excellent acoustics, which enhances every performance brought to the stage. Cobb Great Hall is a wonderful choice for large concerts, recitals, performances, and speakers. 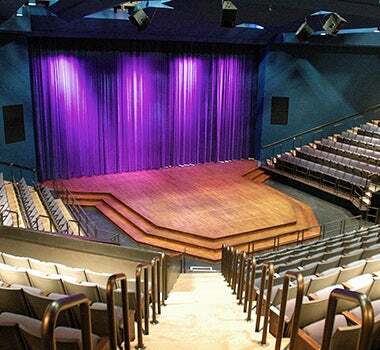 The Pasant Theatre is the smaller theatre stage at Wharton Center, seating 585. Designed with a thrust stage, this setting allows for more intimate interaction between performers on stage and the audience. It is home to our Act One Family and School Series, as well as many speakers and other theatre performances.